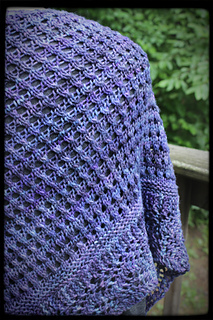 6/6/15: This pattern has been updated to include a larger medium size. 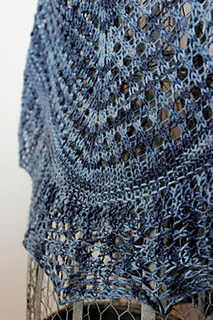 The small size requires 300-317 yards of a sport-weight yarn to get the gauge 4 stitches to the inch in lace pattern. 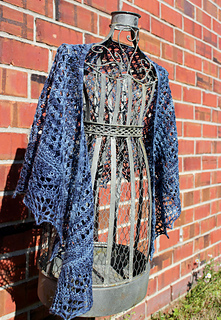 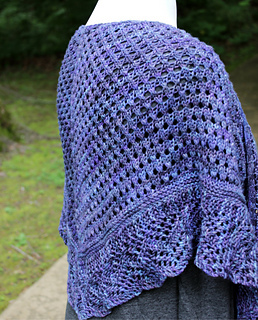 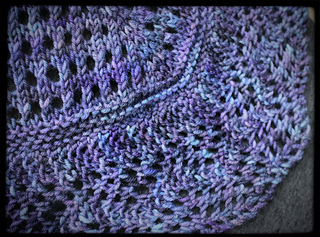 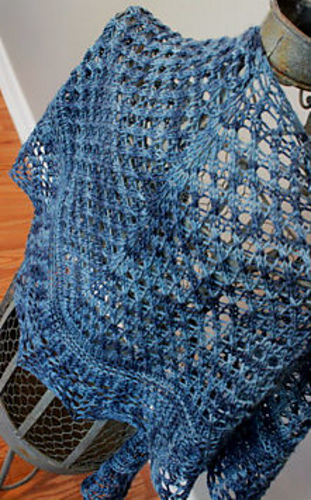 The medium size requires 500 yards of a dk weight yarn to get the gauge 3.5 stitches to the inch in lace pattern.